Step 1: Download and print your preferred template. Step 2: Cut the flags out along the lines. 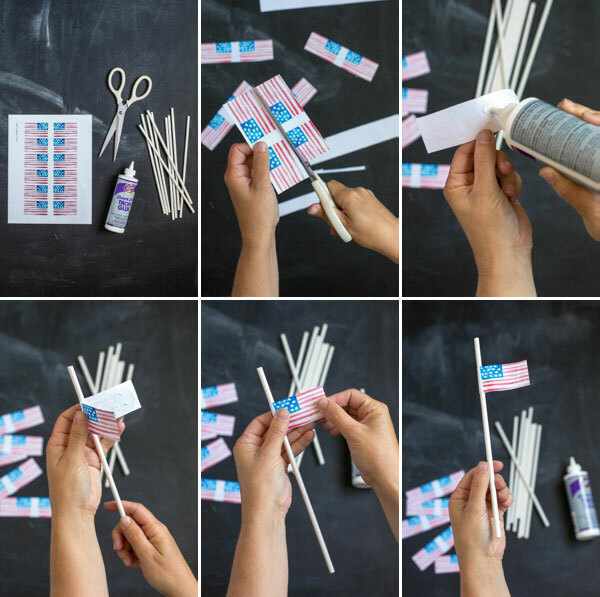 Step 3: Wrap the tab on the flag around the straw and glue. Be sure to place it ¼ of the way down the straw so that you guests have room to sip. Step 4: Let dry and serve with a delicious summer drink! I’d like to get the same straws. Where can I find them? Thanks! The template is different from the pictures shown. Hi Shena, I just added the template for the double-sided flag. Let me know if you have any other questions. 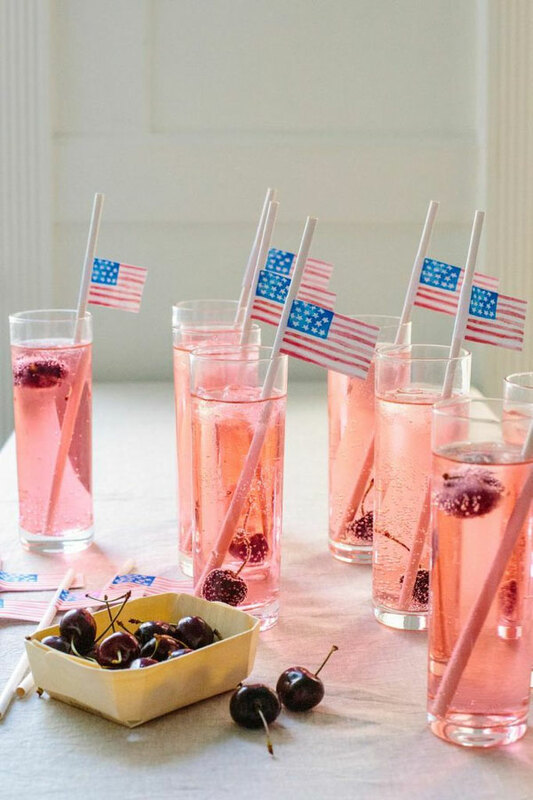 I would love to try this for our 4th of July BBQ! The template only provides the front side of the flags. Is there a version that has both sides (like the one pictured)? Hi Ainslie, I just added a link for the double-sided flag version. I hope that helps! Yes, I’d love to know where to get those white straws! Adorable flags! what IS that delicious summer drink? i think my kids might have fun painting their own…maybe larger to hang up in the house. thanks for the inspiration! Wow! You have the best party ideas ever! Where do you get your inspirations? 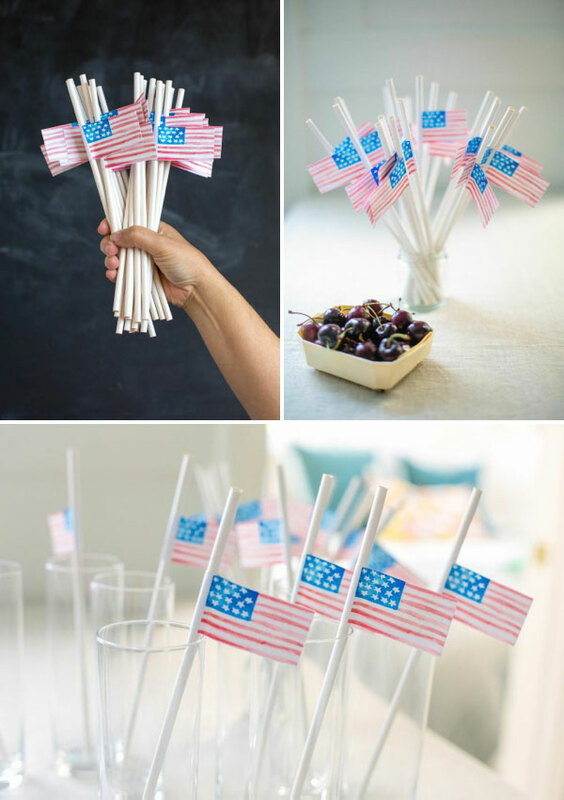 Oh such a great idea especially for Independence Day! Oh my goodness I have a huge box of paper candy-stripe straws I haven’t used in ages. These would go on them perfectly!! Love it! Oooh! Fruity and bubbly drinks as well! Can I ask what THOSE were made of? Ooooh! Fruity and bubbly drinks to go as well! May I ask what THOSE are made out of? 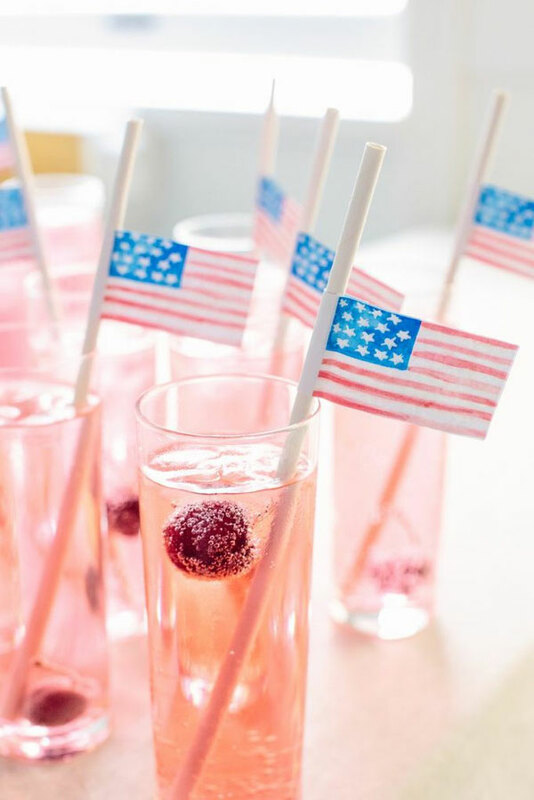 These are such a beautiful addition to a Fourth of July party. I love the watercolor look. What a pretty way to accent a straw. Thanks for sharing! 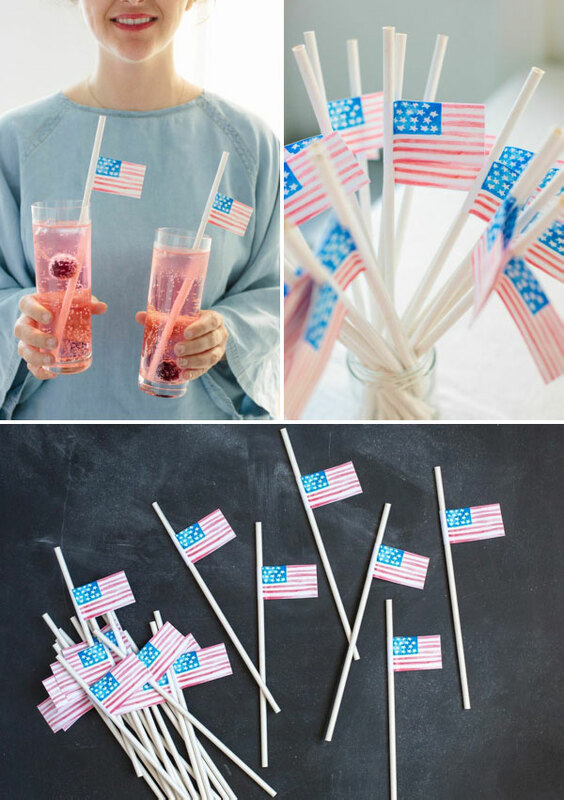 Loved these flag straws. A friend recommended them and made many so I made them and they were easy and will just be a nice touch. I used them for appetizer “toothpicks” cutting the straws in half. I was putting them in ham roll ups.